Elections committee rejects petition against candidacy of Jewish Home MK on Likud list in deal to bring Otzma onto Jewish Home ticket. Deputy Defense Minister and MK Eli Ben Dahan (Jewish Home) will be permitted to run on the Likud list, despite his membership in a different party, the Israeli central elections committee ruled Monday morning. 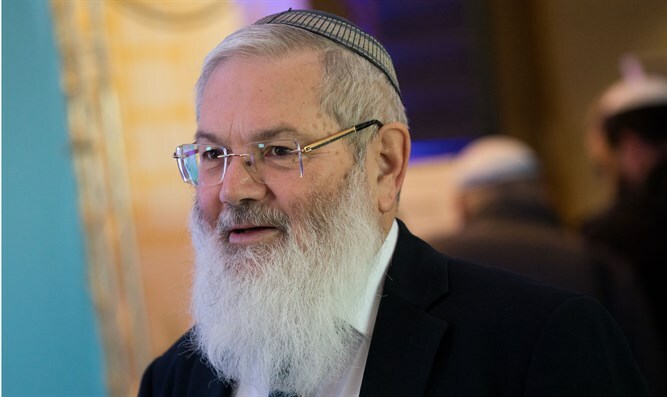 The committee rejected a petition against Ben Dahan’s inclusion on the Likud list, which argued that as a member of the Jewish Home, Ben Dahan could not be elected on another party’s Knesset slate. In February, Prime Minister Binyamin Netanyahu agreed to include a Jewish Home representative on the Likud slate, using one of his open spots on the Likud list. Ben Dahan was later nominated by Netanyahu for the 28th spot on the Likud list, though Ben Dahan was later bumped up to the 27th spot following the resignation of another Likud candidate. The arrangement was part of a deal to have the Jewish Home include the right-wing Otzma Yehudit party on its Knesset slate for next month’s election. As part of the deal, Netanyahu promised the Jewish Home two ministries in the next coalition, as well as a “free” Knesset seat, offering a safe spot on the Likud list to a Jewish Home representative. For technical reasons, Ben Dahan was incorporated into the Likud slate as a member of the Achi faction, a party founded by former National Religious Party (the forerunner of the Jewish Home) chief Effi Eitam after he broke away from the NRP. Achi later joined the Likud, and is still registered as an allied faction of the Likud.